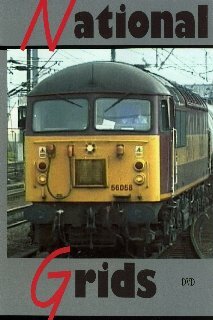 The diesel-electric Class 56 diesel locomotives represent one of the few classic designs still at work throughout Britain being used on passenger and freight services. Our DVD, National Grids, focuses on these fine locomotives also includes both rare and unique scenes, helping to evoke many happy memories. As the number of the class sees a decline, now’s the time to see these classic locomotives in full colour and be enthralled by their distinctive sound.